Fast, friendly, VIP experience to you every time through easy, responsive service. Squeeze into tight-sloped spaces where others cannot. Protect your property, reputation, and schedule. And deliver on our promise or offer our no-risk money-back guarantee. 10 yard, 15 yard, 20 yard, 30 yard, 40 yard rolloff dumpster rental service. My mother passed away recently and we were trying to clean out the house to prepare it for sale. I've had to deal with so many unpleasant things lately. I certainly didn't want to get ripped off renting a dumpster from a trash removal company in Austin, Texas. VIP Dumpster was a utter lifesaver. They were friendly and helpful. One of the office ladies even sent me a sympathy card and flowers. So sweet! I'm an accountant, so I do a thorough analysis before buying anything. I called 10 different rubbish removal companies all of which seemed to give me the runaround. Then I called VIP Dumpster Rental Austin and they were very professional, had a couple options to choose from, and seemed to be fair. They delivered the rolloff container on time, and took it away as promised for the quoted price. Nicely done. Will be back! 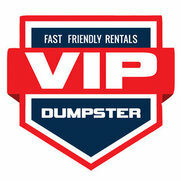 I’ve used VIP Dumpster Rental Austin 5 times now. From the get-go I have been very satisfied with their service. The dumpsters are clean. The driver positions the dumpster with care and places it on a platform for safety. The office is always available to answer our requests for timely service. I can't think of anything they could do better. I called at 8PM Friday and had a dumpster rental Austin in my driveway 7AM Saturday morning when the other dumpster companies were closed. The driver who delivered my dumpster bright and early the Saturday morning was great! He delivered when most of the other Austin dumpster rental companies were closed. He even gave me a goody package that was exactly what I was craving after all the hard work of remodeling. When I was done, I called and the came to pick up the dumpster within a few hours. As my project moves to the next phase, I’ll be calling VIP again. Most of the “same day” dumpster companies I called, didn’t even return my call. But VIP Dumpster Rental Austin went above and beyond my expectations in every way. 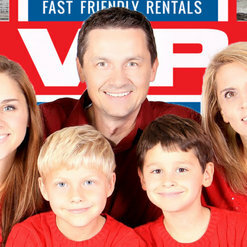 Loved VIP Dumpster Rental Austin and won’t use any other garbage collection company. A friend recommended VIP to me, so I called them and they answered the phone which is unlike the other dumpster companies I called. The fast delivery was on time, it was the right size dumpster. They picked up when promised, and protected my driveway. This experience was extremely different than what I’m used to with other Austin dumpster rental companies. 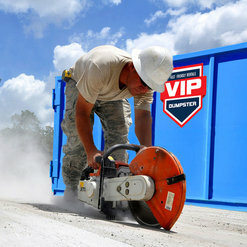 VIP Dumpster Rental Austin was very flexible and had immediate delivery available, which was excellent! The people on the phone are so friendly and helpful.